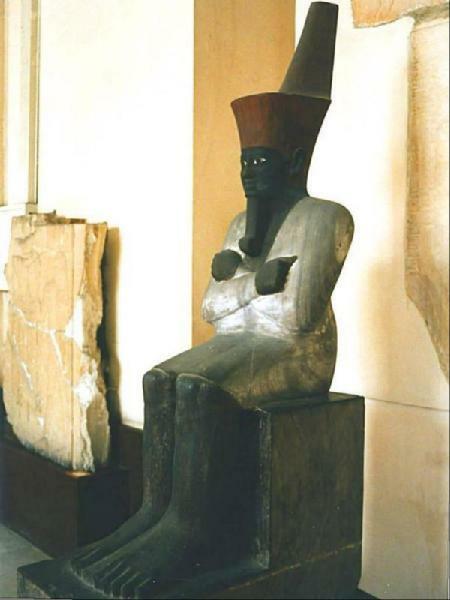 This is a rare statue of Pharaoh Mentuhotep of the 11th dynasty. 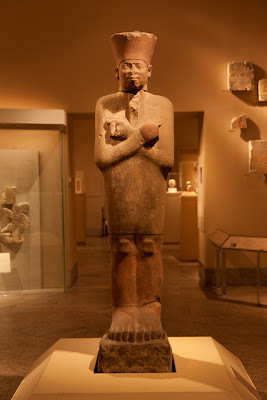 It is one of a group of eight statues that were found in his mortuary temple at Deir A1 Bahary, west of Luxor, beside Queen Hatshepsut’s temple built five centuries later. 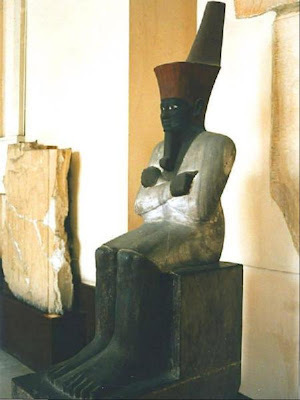 The sandstone statue, which is 2.3 meters high, represents the Pharaoh seated in the Osiris position wearing a white costume with his crown painted red. The colour of the body under the white cloak is olive black. The statue was found wrapped in bandages like a mummy and placed in a funerary niche in his monumental temple.